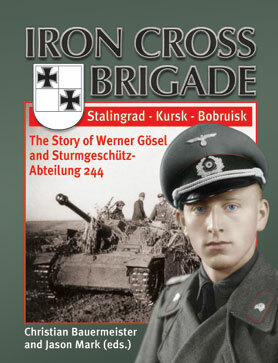 Military History Books, IRON CROSS BRIGADE,Werner G�sel,Christian Bauermeister,Sturmgesch�tz-Abteilung 244 at Stalingrad, Kursk and Bobruisk,Sturmgesch�tz-Batterie 395,Jason Mark, THE WEST POINT ATLAS OF AMERICAN WARS: TWO VOLUME SET,Vincent J. Esposito,Praeger,Dwight D. Eisenhower, GHOST RIDERS OF BAGHDAD,Daniel A. Sjursen,ForeEdge (Univ. 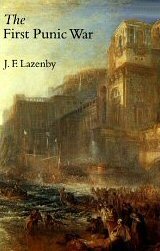 of New England),ISBN�9781611687811,ISIS, THE FIRST PUNIC WAR,J. F. Lazenby,Routledge,ISBN�9781857281361,Ecnomus in 256 BC, THE POSTWAR SHERMAN IN CANADIAN SERVICE,Rod Henderson,Service publications,ISBN�9781894581769,Sherman M4A2E8. The story of Werner Gosel and Sturmgeschutz-Abteilung 244. Stalingrad, Kursk and Bobruisk are names synonymous with untold suffering and death, and the men of Stug.Abt.244 fought at each of them. Werner Gosel was deployed as a dispatch rider during Operation Barbarossa and after being trained as an officer, he returned to the front and was wounded during the opening stages of the Stalingrad battle. After recovering, he served with Sturmgeschutz-Batterie 395, but with the reorganisation of Stug.Abt.244 in early 1943, Gosel was recalled to his old unit and participated in the Battle of Kursk and the subsequent retreat. His tenure as adjutant from August 1943 onward provides an insight into the working methods of an assault gun battalion. In summer 1944, now a battery commander, Gosel was captured during a break-out attempt from the Bobruisk pocket. He returned from Soviet captivity five years later to post-war East Germany. This volume which is jointly edited by Jason Mark, is profusely illustrated and has three appendices, including the battalion's full war diary from 1943 plus a comprehensive lists of medal winners. This two volume set includes details and strategic maps concerning the various military conflicts that the United States has been involved with from 1689-1953. With an introductory letter by Dwight D. Eisenhower. The atlas is especially designed for cadets of the United States Military Academy to aid their initial studies in the History of the Military Art. The West Point Atlases are the bible for military historians as the text and maps are superb. The research and care that went into crafting this series is considerable and these are still used at West Point and in many Military History courses. Volume I: 1689-1900. Volume II: 1900-1953. The volumes are presented in black boards with gilt motif and titling and grey spines. Volume I is in very good condition. Volume II is very good internally but the spine is discoloured with some dark stains. From October 2006 to December 2007, U.S. Army lieutenant Daniel A. Sjursen, led a light scout platoon in Baghdad. The experiences of Ghost Rider platoon provide a soldier�s eye view of the incredible complexities of warfare, peacekeeping, and counterinsurgency in one of the world�s most ancient cities. 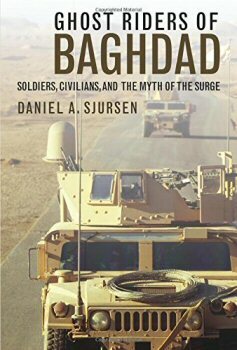 He reflects critically on the prevailing narrative of the surge as saviour of America�s longest war, on the overall military strategy in Iraq, and on U.S. relations with ordinary Iraqis. With the emergence of ISIS in 2014, Iraq and its beleaguered, battle-scarred people are again much in the news. This fascinating book provides a study of the longest continuous war in ancient history and the greatest naval conflict ever fought. The First Punic War was Rome's first overseas war. It was also history's first "world war," lasting a quarter century (264-241 BC) and involving major powers battling by land and sea over a wide geographic area. In fact, the largest naval battle in history, in terms of sheer numbers of ships and men, took place during this war at Ecnomus in 256 BC. The book includes clear maps and provides the historical sources in each chapter. New in the popular Service Publications series, this compact book provides details of the Sherman M4A2E8 in service with the Canadian Armed Forces after World War II. 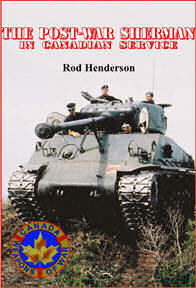 Extensively illustrated the volume includes a 4-view centre spread of the Sherman by Karl Gagnon.